(Reuters) - The London Metal Exchange may not launch its new aluminium premium contract until early next year, the exchange's top executive said on Monday, months after a competing product from U.S. rival CME Group Inc is expected to go live. The distant date for the new LME contract will stir the debate over its ability to resolve the years-long issue of backlogs and inflated physical prices that U.S. end users say are costing the industry $6 billion (3.6 billion pounds) each year. "The regulatory process alone takes about six months, so we'll be pushing to get it done before the end of the year. It may not happen until the first quarter of 2015," Chief Executive Garry Jones said on the sidelines of the CESCO/CRU copper conference. Consumers say the LME's mainstay contract is broken because of the yawning gap between the futures and the physical market. Premiums paid on top of the LME benchmark for physical delivery have reached record highs and now account for about 20 percent of the LME price. Historically it had been around 10 percent. In a notice to members on Monday, the LME said it planned a physically-settled aluminium premium contract and might expand it to other metals, but gave no details of the plan. 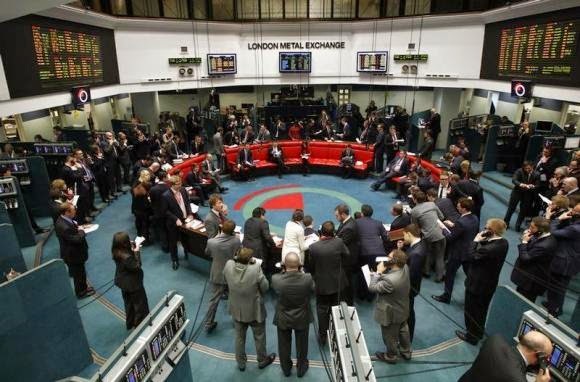 The LME outlined the first details of its new contract plan in January. The exchange, the world's biggest market for industrial metals, lost a court ruling last month that handed CME an unexpected windfall for its contract, a product launching May 5 that the CME hopes will lure clients from the dominant LME. The reform was aimed at cutting backlogs in the LME's global warehouse network. Jones said in the interview the exchange will decide in the next few weeks whether to appeal the court ruling, which was obtained by Russian aluminium giant Rusal on worries the reforms would hit prices. "We are cognizant of the fact we can't keep the market waiting forever," he said, adding the issue had been a "big and costly" distraction. "The (warehouse reform) rule may still be implemented, potentially with revised timing periods, either as the result of an appeal or a fresh market consultation," the exchange's notice said. The LME, owned by Hong Kong Exchanges and Clearing Ltd, had planned to impose new regulations on April 1 on warehouses after long-standing complaints about delays of more than a year to access metal at some depots. Some analysts said frustration with the LME's reforms might lure some consumers to CME, which hopes to convince the 50 million-tonne aluminium industry to upend three decades of LME pricing and switch to the its upstart contract. The new CME contract has the approval of at least one large consumer of aluminium, MillerCoors, which uses the metal to make drinks cans and has criticised the LME's handling of the problem. The LME also gave an update of a series of other reforms, which have been unaffected by the court ruling. The exchange has agreed on a format for publishing detailed data about each warehouse, including stocks coming in and out and waiting times in days for each metal. Currently, data is published for each location, not each warehouse. 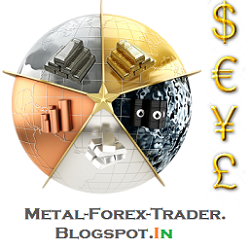 The first monthly report will be published on May 12 regarding activity in April. The LME had also promised as part of its wide-ranging reforms to publish more data about long and short positions, similar to the U.S. Commitments of Traders reports. The first such report is due in the second quarter, it said.